This project is a first-floor 8,430 s.f. 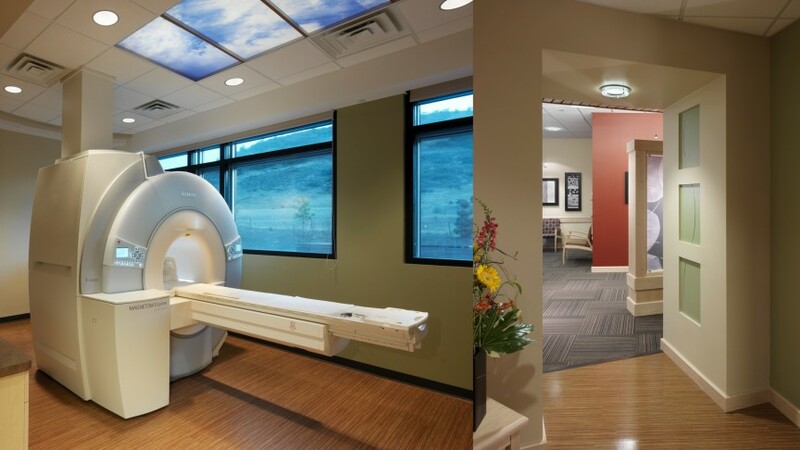 tenant improvement in a new medical office building. 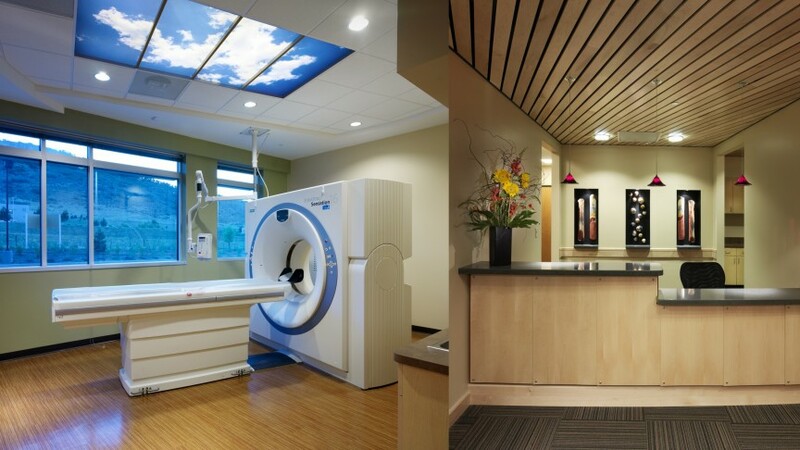 Optimization of workflow was a key consideration in the design of the imaging center, which includes MRI, CT, X-Ray, and a women’s center including mammography and ultrasound. 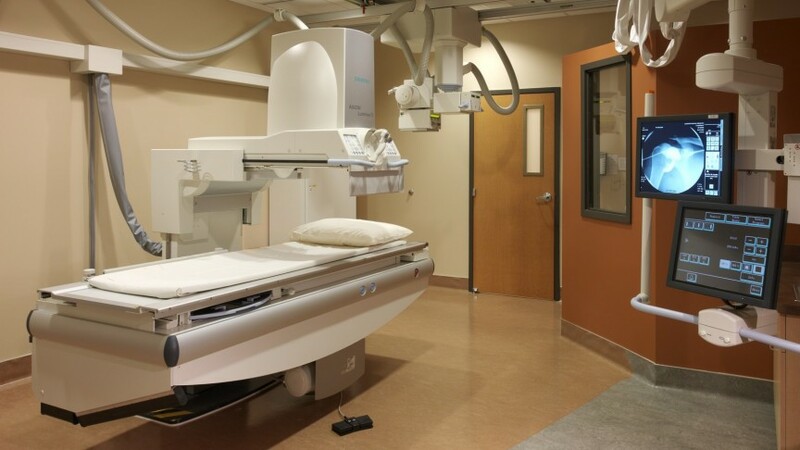 Direct access was provided to the MRI and CT from an adjacent Urgent Care facility, and special attention was given to the separation of patient and staff flows, allowing for greater staff efficiency. 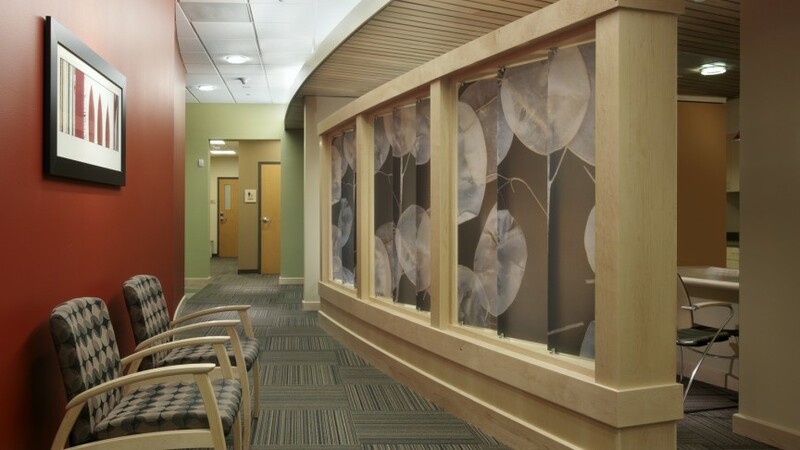 The lobby and imaging spaces utilize elements such as daylighting, natural imagery, and a sophisticated palette to provide a warm and stress-reducing environment.